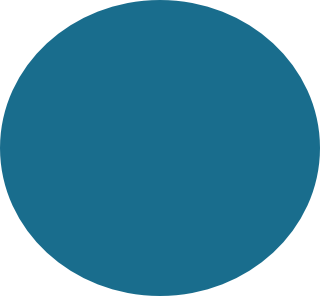 A chicken’s needs are few, and pretty simple–yet these are things they MUST have if you are going to keep chickens and not expect to find them horribly killed and strewn about your yard one fine morning. Coop– Basically a small shed, with some chicken accoutrements such as roosts, food & water containers and nest boxes, secure against predators and vermin. 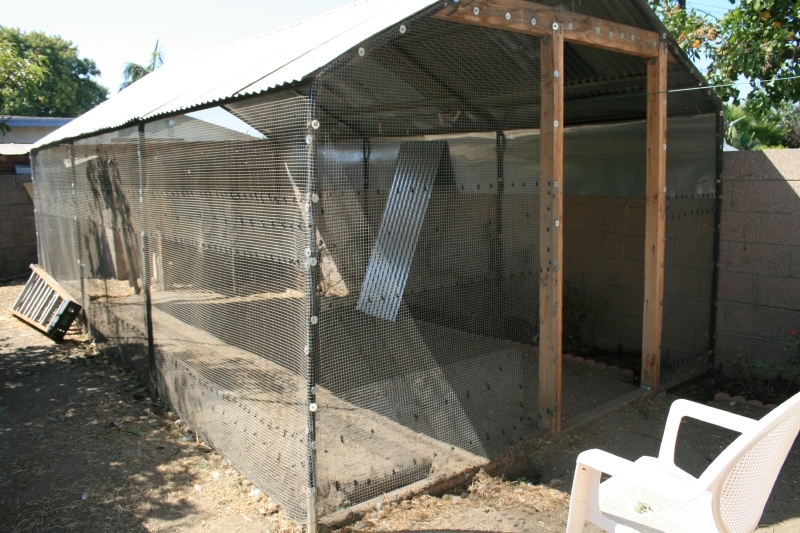 Used to securely house your chickens at night, during the day as a nesting area. Run–Protected outdoor space, with a secondary set of food & water containers if needed, safe from predators. 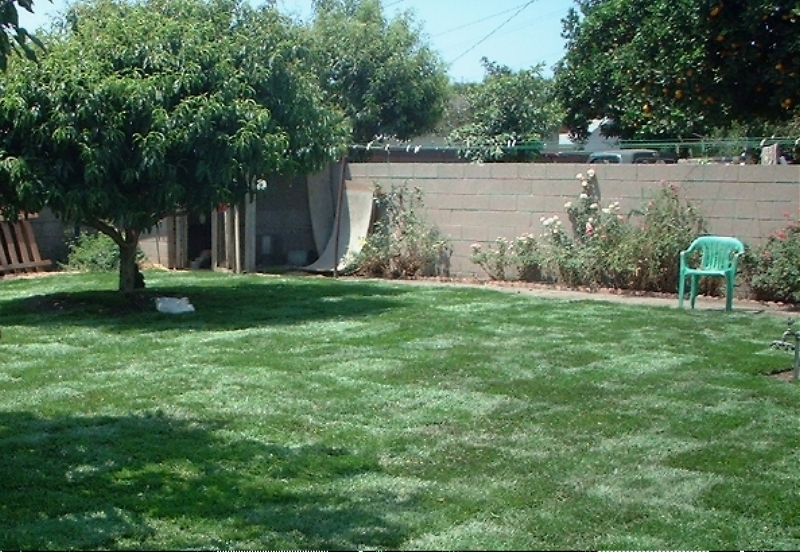 Even if you have a large yard, you may also want to build a run for your birds. Runs are handy if you are going out of town for a few days and want them to be secure, but still have a larger area to roam in, without it being open to predators. You friend or family member who comes over to feed the birds in your absence will appreciate it, too, so they don't have to worry about getting the birds back into the coop at dusk. Runs are also great for protecting against bad weather. 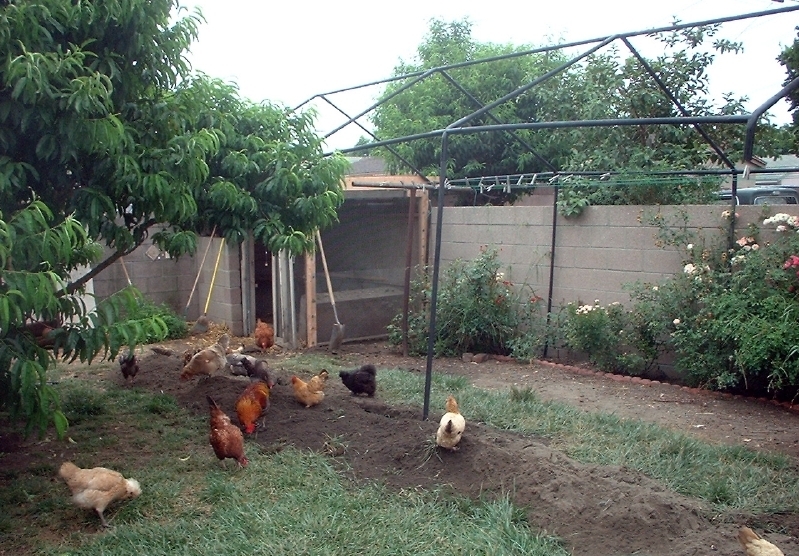 We have built two coops and runs, one at our old house in southern California, and one at our present home in northern Nevada. Both were attached to the coop and both have withstood many years of use and weather with no problems, although we had different considerations with each coop as to how to build to withstand very different weather issues, as well as protecting our birds from weather and predators. 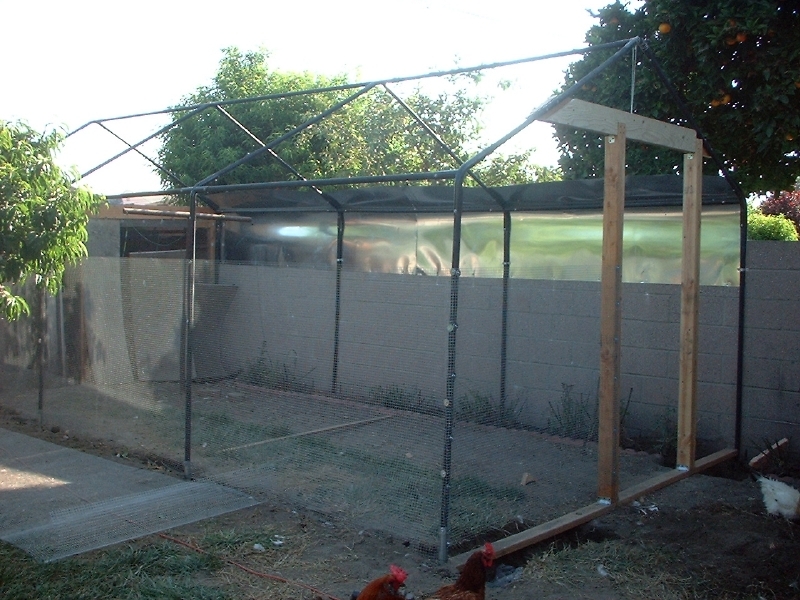 Our first run in southern California, built after we fell victim to ‘Chicken Math’ and started with three chicks which quickly became 26–Needless to say they had outgrown their small coop and needed more space. 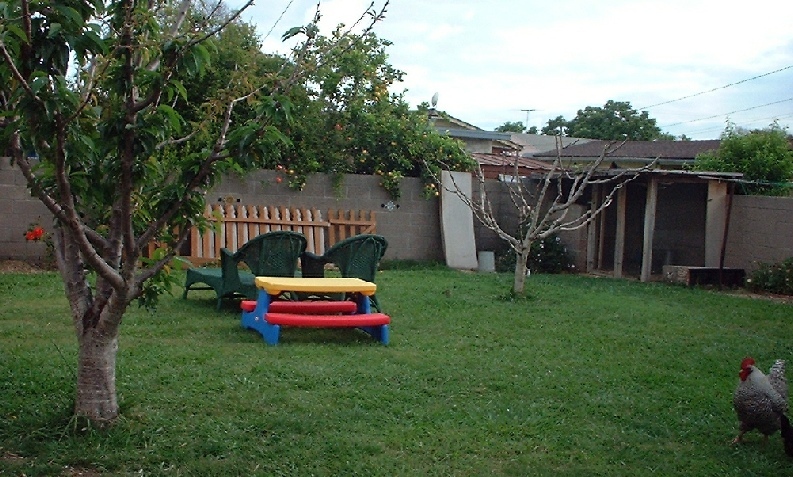 Even though we had a large, secure back yard that they free-ranged during the day, we wanted a large, enclosed area for use during bouts of bad weather or in case we were away for a few days. 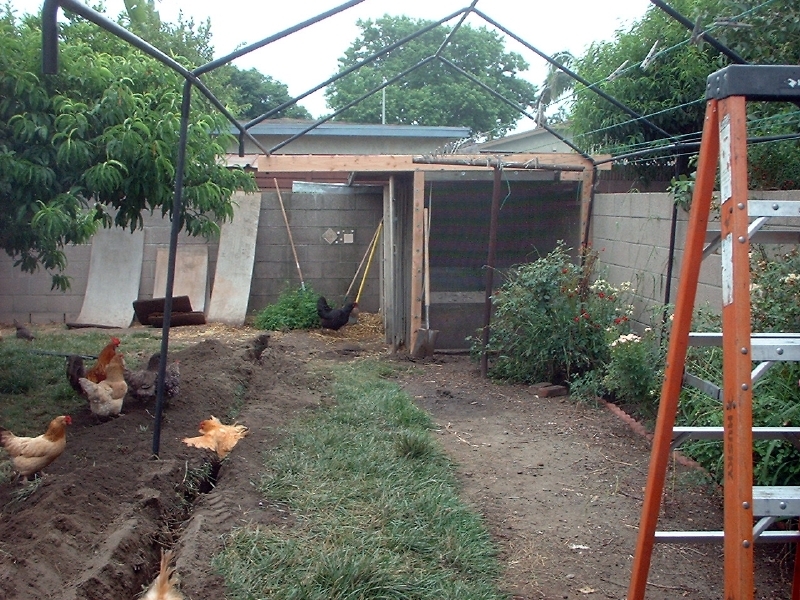 Here is the original southern California small coop on the right side, built for three chickens. 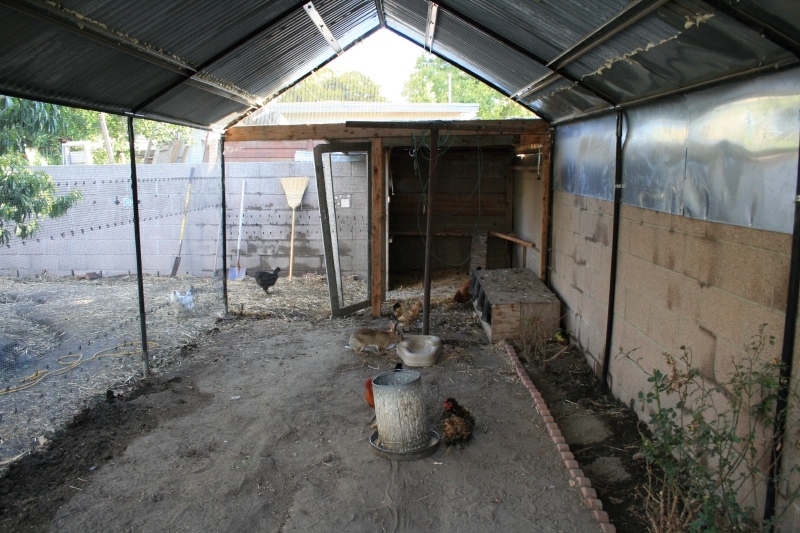 And the area where the new run was attached to the existing coop, which was left in place. I had to give up my clothesline area. The trenching is both to bury the hardware cloth wire walls 6 inches underground (to thwart digging predators) and for the concrete post footings so the run would be strong & secure in windstorms. The new run's framework is tubular steel, which used to be a canopy over our patio. A windstorm pretty much took care of the canopy one night, leaving the steel skeleton. So we recycled it! 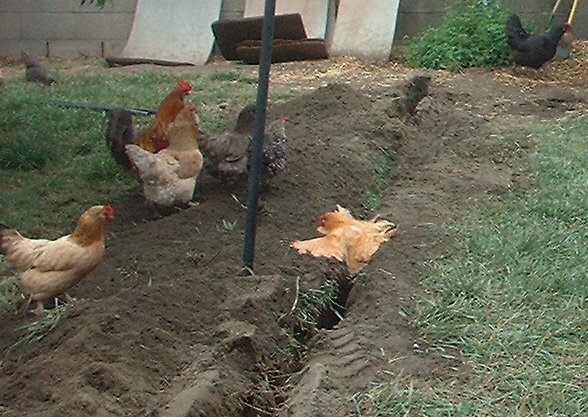 Unfortunately one of our elderly little bantam hens, Chicken Sister (she used to have a twin sister, hence her name) in this shot has fallen into the trench we dug to set the framework’s legs in and bury the hardware cloth below ground level. She was looking over her shoulder at me taking the picture when she SHOULD have been watching where she was going. This is her demonstrating the Chicken Mantra and doing her impersonation of a chicken pancake, poor baby. 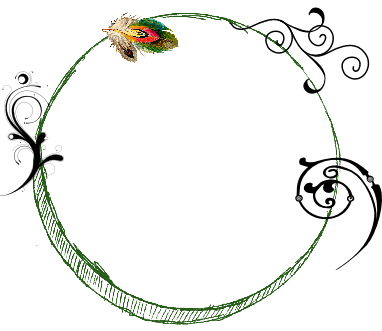 Wings outstretched, her legs dangling in the trench, helplessly waiting to be rescued. Only her dignity was hurt, though. 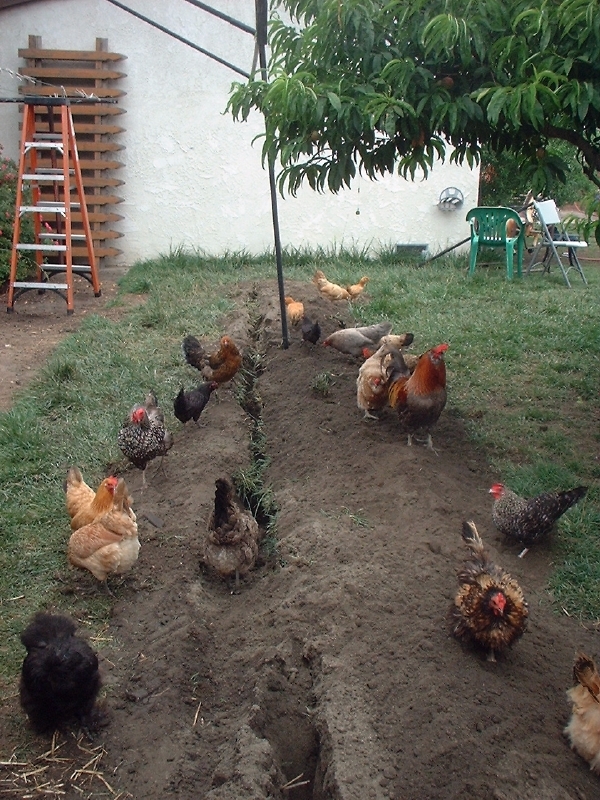 Everyone enjoyed the freshly dug dirt, to a chicken this is irresistible. They all worked diligently to fill in the trench we had just laboriously dug. The hardware cloth going up...you’ll notice Phoenix, our Head Roo, in a lot of these shots. 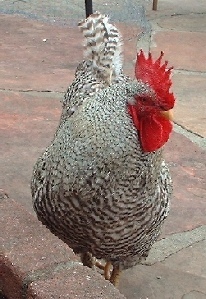 Roosters have it in their union contract that they MUST directly supervise all projects, even more so than hens. Wire walls extend 6 inches below ground and curve slightly outward underground to thwart predators trying to dig under the wire. ...and the doorway is framed in. 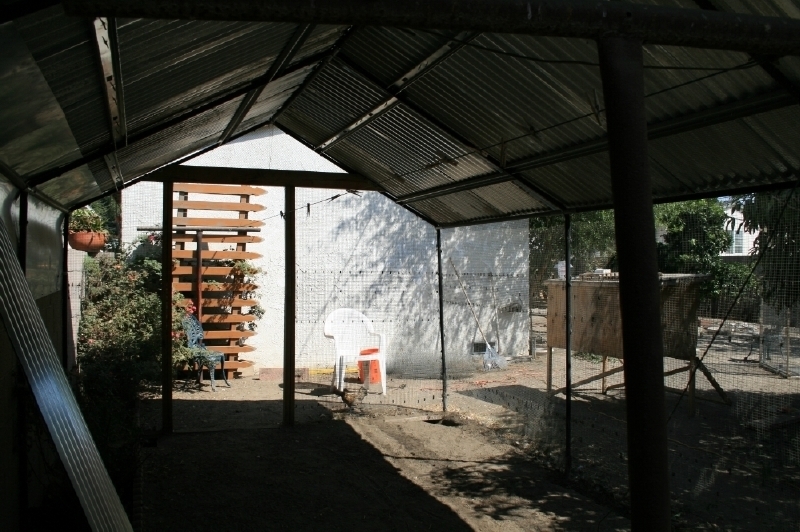 Sheet metal connects the existing cinder block fence to the canopy framework. We didn't use wire here in order to reduce drafts. 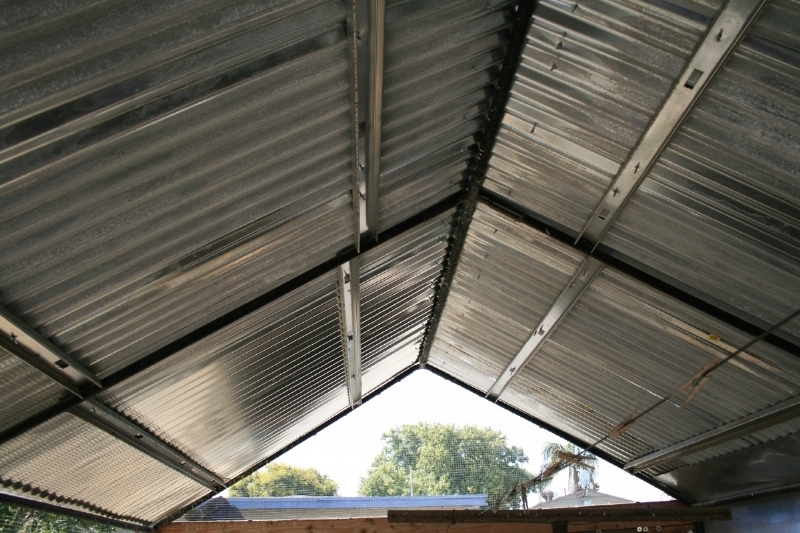 The corrugated steel roof going on. We used steel 2x4's and sprayed in expansion foam to help seal any openings that might admit vermin. The view from the inside looking towards the new run door. 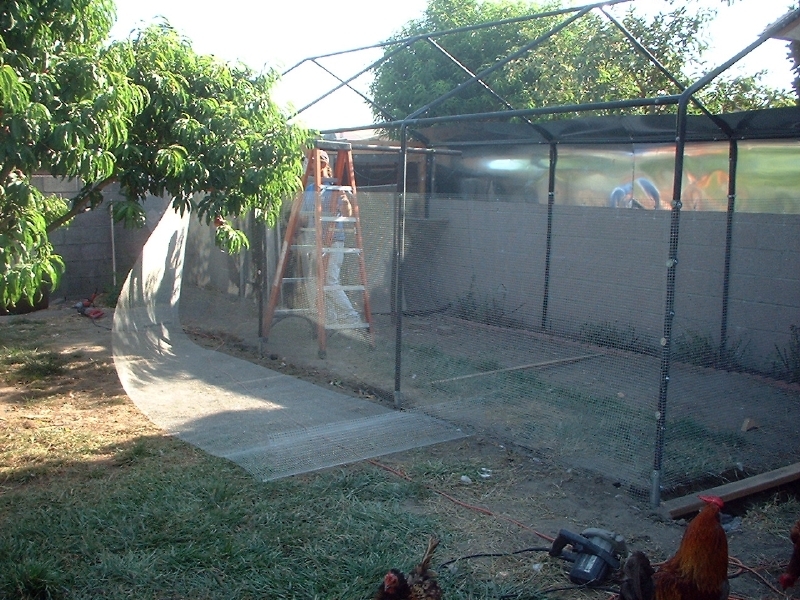 Where the sheets of hardware cloth met, we overlapped them by several inches and secured the gaps with UV resistant heavy duty zip ties to keep out rodents, possums, etc. A better look at the sheet metal, which was bolted to the cinderblock fence. 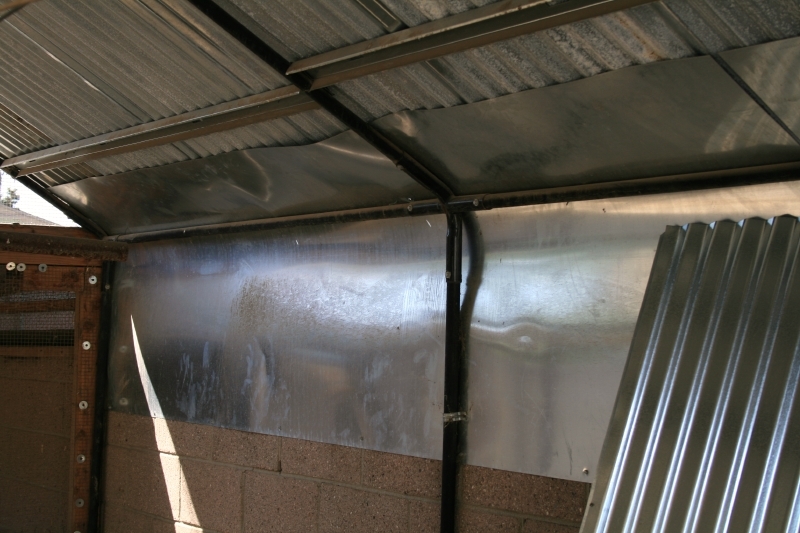 The interior of the run roof, steel 2 x 4’s were staggered. A better view of the existing coop and new run and how they attach to each other. This is the door to the existing coop. The view from the end of the run looking towards the existing coop building. You can see the expansion foam in place in the ceiling of the run. 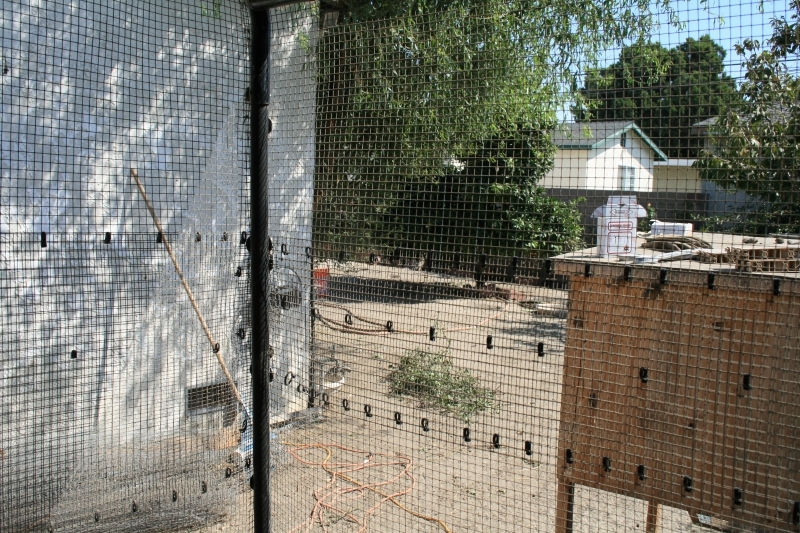 The old wire panel connecting the existing coop and new run was removed and the old coop door shut and secured. 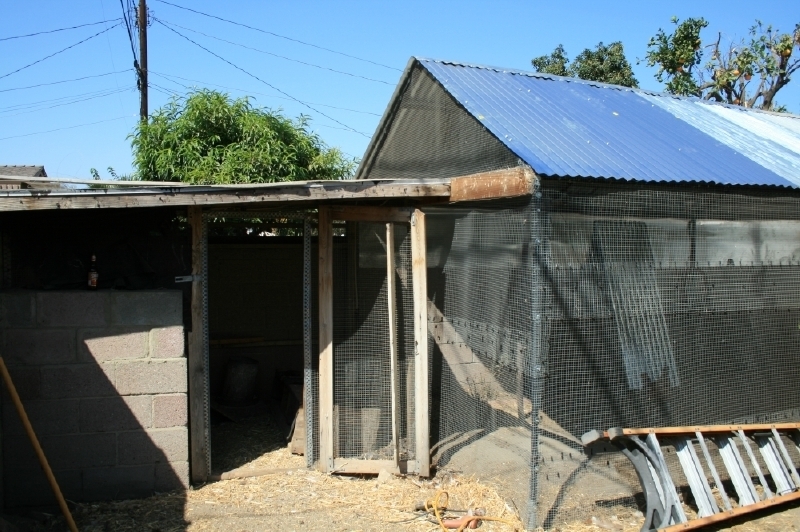 This was our southern California coop & run, where the main concerns were small predators such as possum and raccoons, vermin such as rats & mice, and building to withstand moderate wind & rain. The front of the coop building was open to the run at all times since hot days and nights were an issue. 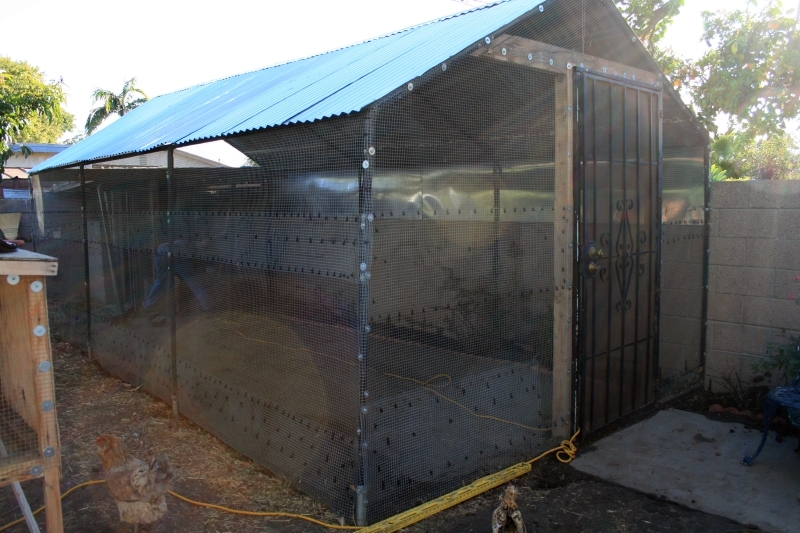 We rarely had extremely cold so we didn’t need to have a fully enclosed coop. For the new door to the run, we found two identical, perfectly working steel security doors, with locks, keys and doorway framing, sitting curbside one day. 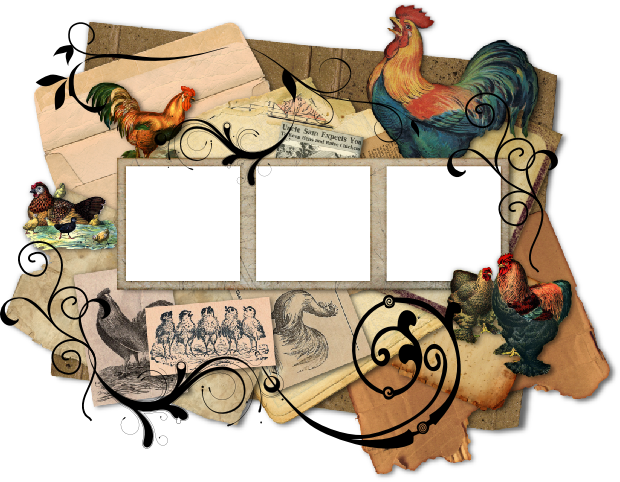 Perfect for chicken coops! The big metal T stands for the old clothesline we just left. Several banty hens had fallen in love with the one inside the run anyway, and perched on it at night.